Face recognition is coming to schools, stadiums, and airports, but surprisingly not to body cameras—yet. 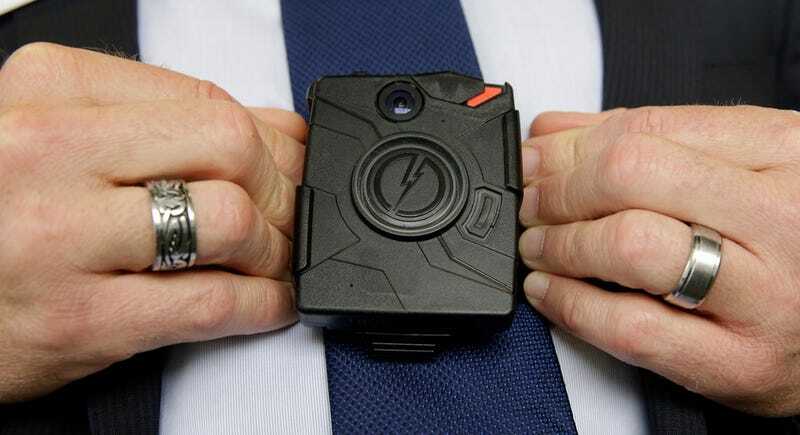 On an earnings call Tuesday, Rick Smith, CEO of Axon, one of the largest body camera manufacturers in the U.S., said the reason was simple: In addition to privacy and policy concerns, face recognition isn’t accurate enough. In the UK, police used face recognition software that falsely flagged thousands of people at a sporting event as being criminals. The false positive rate was a staggering 90 percent. In the U.S., Amazon’s facial recognition software, called Rekognition, drew massive criticism after the ACLU used it to match congressmembers against a database of criminal suspects. Rekognition falsely claimed 28 congressmembers were in the database. Police officials in the UK have said they’ll refine their technology to improve its accuracy, while Amazon countered the ACLU’s results. Amazon’s AI chief emphasized that the ACLU’s experiment considered a “match” to occur anytime the software was 80 percent confident a congressperson was in the arrestee database. Amazon, however, recommends police use a confidence threshold of at least 95 percent. With this guidance, police using Rekognition wouldn’t necessarily have considered many of the congresspeople to be matches. Countering Smith’s thesis, law enforcement agencies and Silicon Valley both seem fairly set on face recognition as an inevitability, despite bad press about inaccuracies. And to be clear, confidence is not accuracy. Even if the ACLU raised its threshhold to 99 percent, Rekognition would still be incorrect in saying there was even a single match. Accuracy in facial recognition is essential. But, in the context of policing, there are innumerable caveats. It’s not reassuring to anyone to hear that the police are working towards better omni-surveillance. It’s good if tech companies are concerning themselves with public opinion, but there’s no indication that will deter them from building a surveillance state.